Merope was the last of the sisters to join the Pleadies constellation. She is the faintest of the stars because the gods were perturbed that she married a mortal. 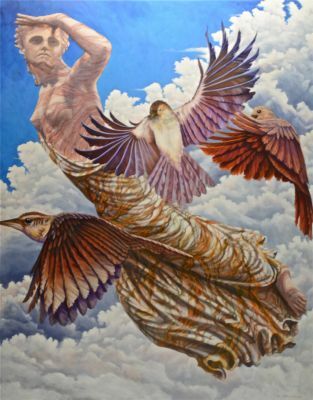 One of the versions of the myth of the costellation was that the gods turned the sisters into birds to escape the clutches of Orion.